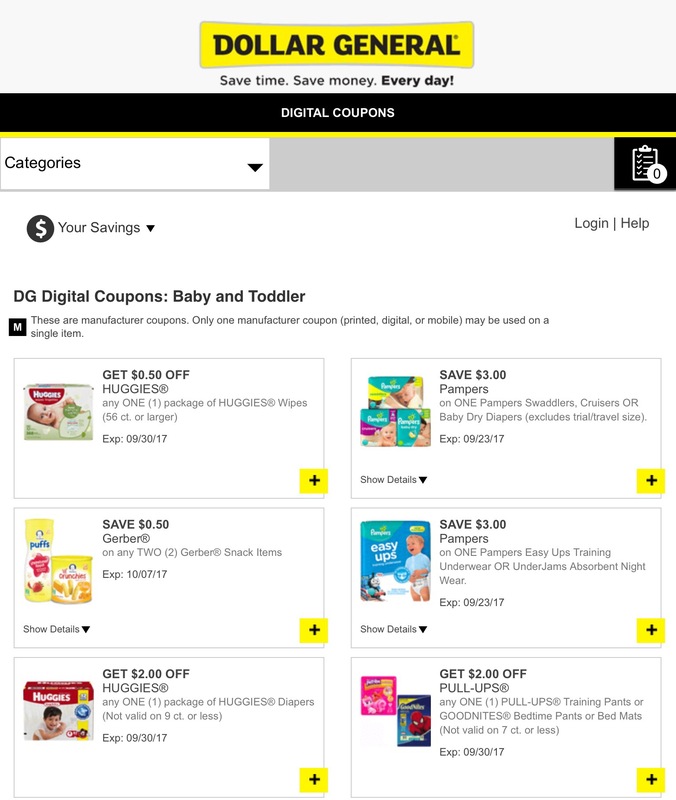 Dollar General Digital Coupons – Save. Make. Invest. Add the products that you will purchase. You can scroll through the list or select a specific category. 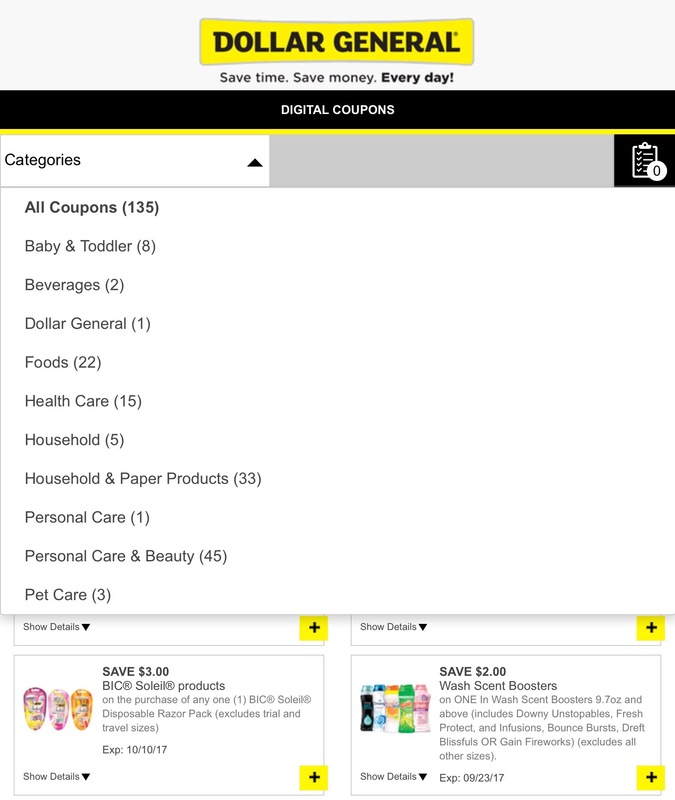 If you want coupons for baby diapers, go to the category Baby/Toddler. If there are coupons available, then you can compare the brands and discounts. Shop at your local Dollar General. At checkout, enter your phone number at the register and the coupons will be applied. It is very simple. 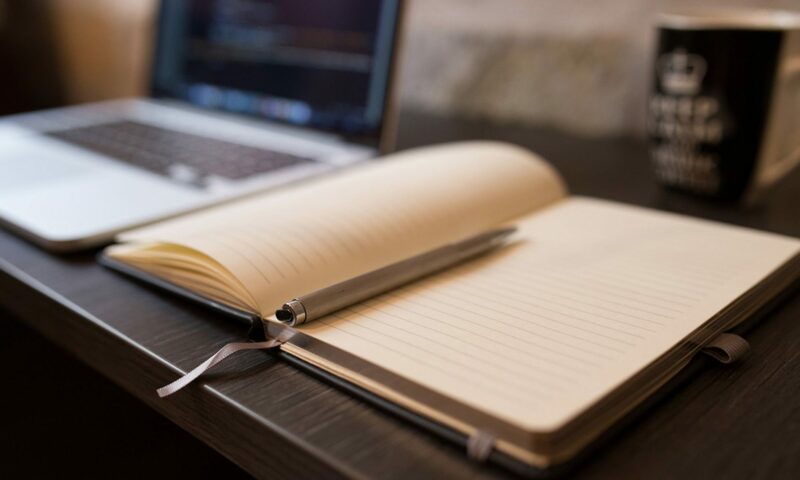 Digital coupons have changed the landscape of couponing. I no longer have to cut out coupons and store them. No more checking for expiration dates. Now, I can just click and go. This video by Dollar General explains this as well. Do you like to shop using digital coupons? 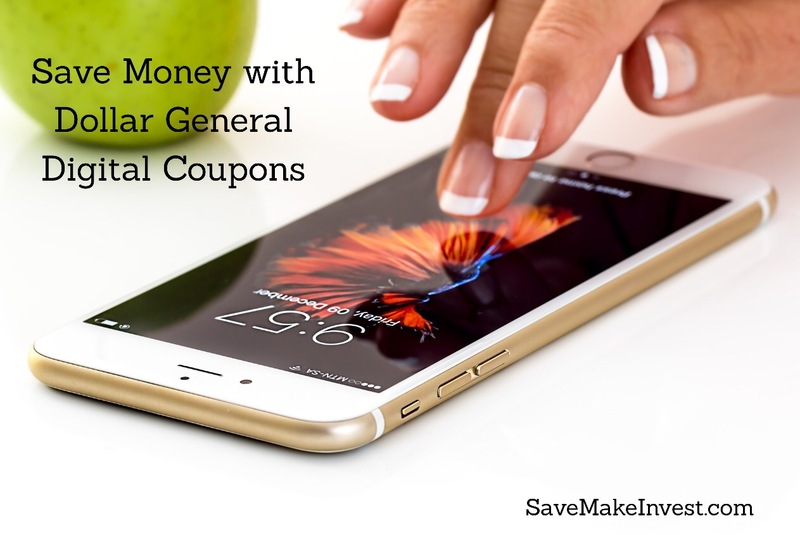 I also use digital coupons while shopping at Kroger online and picking up groceries. Next PostNext To Replace or not to Replace?